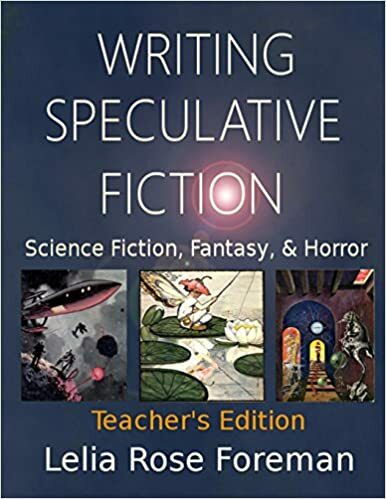 My friend Lelia Rose Foreman has written a text book, Writing Speculative Fiction: Science Fiction, Fantasy, and Horror, Teacher’s Ed. It is aimed especially at home schoolers teaching high schoolers. An excerpt from my novel Death’s Doors is incorporated, with my permission.